When you’re out camping, or even just a collector, it’s always good to have a collection of cutting tools at your disposal such as proper knives and, on the other end of the spectrum, tomahawks. Tomahawks can serve a thousand different uses and when we come across a tomahawk like the SOG Tactical Tomahawk, we simply have to show and tell. 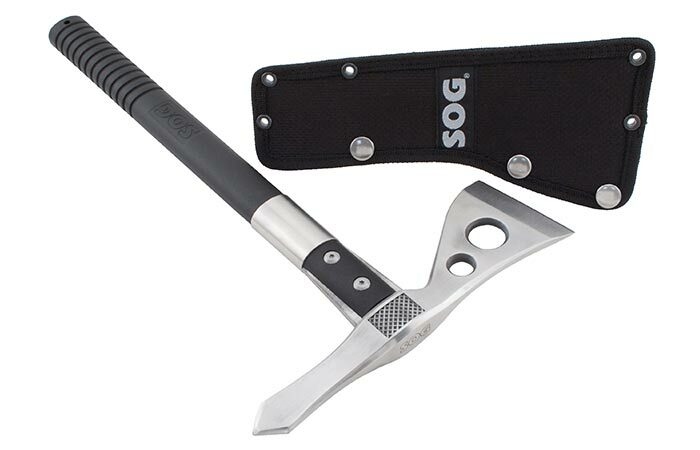 Designed to be light and sturdy, the SOG Tomahawk is the perfect tomahawk for throwing or simply as a camping accessory. 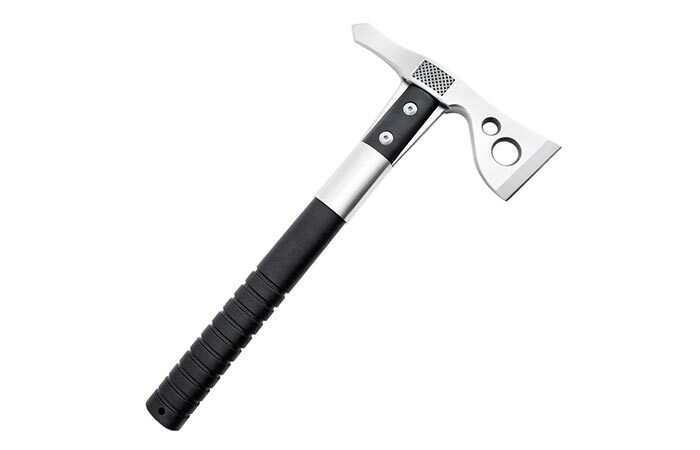 This tactical tomahawk is perfectly balanced so that you can throw it with a flick of the wrist. At first glance, it’s important to note that this tomahawk really does look cool, but that’s not the reason why we are writing about it. 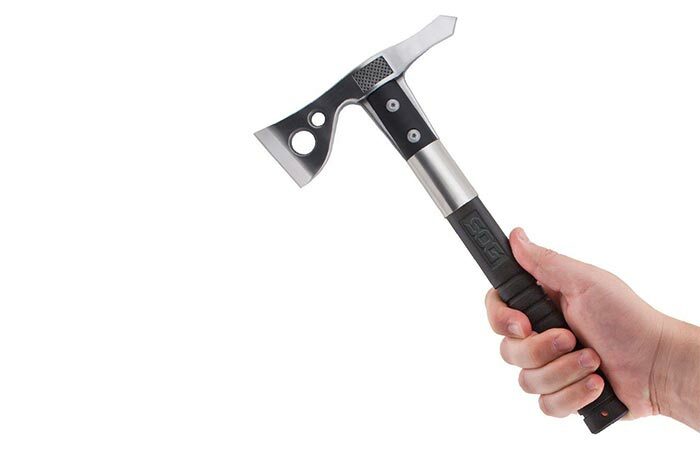 What makes this tomahawk special is the fact that it is a tactical tomahawk. That essentially means that it was designed specifically for throwing and hand-to-hand combat but can be used for chopping, cutting, hammering, digging, piercing and a variety of other actions. The blade itself is constructed out of 420 stainless steel that is not only super hard but will never rust and the blade is attached to a ballistic polymer handle with heavy duty bolts and a steel ferrule for excellent strength and integrity. The holes that are added to the blade increase agility and aid the tomahawk in achieving a state of almost perfect balance. To make this tomahawk as light and agile as possible, two holes have been added to the blade that also aids in giving it an exceptional balance that allows you to throw it with a mere flick of the wrist. The overall length of this tomahawk measures in at 12.5 inches and only weighs 19 ounces. So, be it camping, hunting, or merely target throwing, you’re going to need this tomahawk tucked into your belt. If it ever goes blunt, you need not fear since you get a diamond sharpener with it! If you wanted to carry it in a backpack, the polyester holster ensures that the blade won’t damage your goods.